$100 Michaels Gift Card! Click the pic for details. Contest ends 05/30/2011. Click the pic for details - ends 07/03/2011. Lots of prizes and chances to win! 3rd Tuesday of every month. Visit www.gettingcricky.com for details! Get Inspired - Link It Up to get more followers! Are you looking to get more followers to your blog? Then click on the picture and find out how. Get Inspired - Link It Up! My daughter is one of the middle children, being in between 2 boys who absolutely hate anything "girly"! Anyway, this was fun for her and I. Initially I wanted to find paper dolls online and cut it with my Cricut but I found out quickly that my Cricut doesn't like to cut felt without special preparation or at least higher quality wool felt. The stuff that I have is NOT of the highest quality so we resorted to the old way of doing things....ya know, with scissors. *GASP* Who does THAT anymore? Believe it or not, it was so much fun. However, I do want to try cutting felt with my Cricut at some point because I found some of the most adorable paperdolls SVG files online and I would love to see how they turn out with felt! Nonetheless, here are some of the things that Catie and I made with felt. Catie is my most "Creative" child. Her older sister, Alissa of Sketch This likes to draw/sketch and do pencil art but Catelynn is the one who loves to scrapbook and do anything crafty! She has her own craft box with all of her own craft items. It excites me that she loves to do paper crafting and scrapbooking as much as (if not more than) I do. I just wanted to share our Friday afternoon with you all. I hope you all have a crafty weekend. I'm not sure I told you all this yet but I started a part-time job at our local craft store. It's called Soulutions. This is a great little store. They are basically 9 stores in 1 but my favorite part of the store is the scrapbooking/crafting section (They even sell Cricut/Provocraft items. They also have a section for making jewelry, which has always interested me too but my absolute favorite part of this store is Over Coffee, which is the Northern Minnesota equivalent to Starbucks Coffee. Truth be told, I almost think that some of the drinks are better. *GASP* There, I said it!!!! Anyway, I will be working my night job (medical transcription) Sunday through Thursday 4 p.m. to 12:30 a.m. and then working at Soulutions on Sundays 10:50 a.m. to 3:45 p.m. I will also be a sub in the mornings on the days needed. In just a little bit, I'm also going get started on the electronic rotation chart I mentioned in my Needing Ideas post. I'll show you what I come up with later. If any of your kids are like mine, then electronics are a big part of your lives too. Anything from mp3 players all the way to video game consoles and cell phones. My children are ages 6, 7, 10, and 15 and all of them have some part of their lives that revolve around electronics. My 6-year-old loves the XBox 360, the PSP, the PS3, and the computer. My 7-year-old loves her MP3 player (can you say Bieber Fever in my house?) and the PS3 and the computer. My 10-year-old loves anything at all electronic. He's more into building games than playing them but he loves all the electronic devices in the house, all of them. And my 15-year-old is into her computer and her cell phone. There really is a point to my ramblings up there. My husband suggested today that, in an attempt to avoid the arguments that come along with all of these electronic devices and the younger 3 children, that I create a board that has the games on it in columns and and then their names and somehow attach them to the board under the device they are playing for a period of time (say, 45 minutes or so?). So, here's my question....how should I do this? I am looking for ideas. Anybody have any thoughts on this? Leave me a comment and let me know your ideas!!!!! I hope you are all having a wonderful weekend so far. It's been super busy for me. My oldest daughter left a 2 weeks ago to visit some family in Phoenix and is not going to be back until July. I miss her so much. She is going to miss Independence day and Father's day as well. I'm sure she's having a blast though. I just miss her tons. 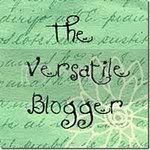 My husband has been in lots of ongoing pain with his back, which he has been dealing with for the last 10+ years so we have been dealing with that, hence the reason (or excuse) that I have not been blogging much lately! 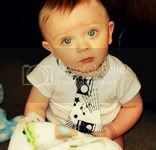 On Monday, 06/20/2011 my youngest son, Dylon is going to be starting swimming lessons. I can't believe how fast these cute little ones grow up! Two weeks after that, my daughter, Catelynn will go into swimming lessons too. It gives me great comfort to think they will all know how to swim though. I've never been a huge swimming fan so going to the pool will be much easier knowing they know the basics of water safety and swimming. I recently got an email from www.cricutmachine.com stating they were having a sale on over 70+ Cricut cartridges. They had 4 of them under $15.00 each!! Whoo Hoo! So I bought 2 of them. I bought Mini Monsters and Cindy Loo. Oh my gosh, they are great cartridges. Lots and lots of images to cut out. And the Cindy Loo cartridge has a font on there too! BONUS! Well, tomorrow is Father's day and so I couldn't resist doing a card that I know most men love. I went looking for the template of the bikini swimsuit. I finally found one and downloaded it. I absolutely adore how cute this card turned out. I love it! I hope you enjoy it too. The card was cut at around 6 inches as were the layers. I altered the layers by cutting the straps off the top of the suit and adding my own ribbon. I added my own lace to the top of the bathing suit as well as to the bottoms. (Nice touch, huh?) The butterfly stamp was a small stamp that I had and I colored it with my markers. Here is my oldest son's card: Brandon, age 10. Catelynn's (age 7) Father's Day Card, she wanted a "monster"
I have been working on a project that I had donated a while back to the Auction for the American SIDS Institute. As most of my readers know, I've been following the blog of a mom who lost her baby to SIDS in February of this year. She was only 4 months old. They held an auction in her memory and accepted donations. So, here is what I made for little Sydney who will be a year old in September! Hope you all enjoy it!!! Have a great weekend everyone! If you don't know K. Andrew of Getting Cricky then you are truly missing out! Like most of my bloggie friends, I have never actually "met" her, she's a "virtual" friend. You know, the kind that live in your computer? *hugging my computer because I love all my friends that live in here* Anyway, K. Andrew is one of the most inspiring crafters I've ever had the pleasure of coming in contact with. Her life is not perfect but it's perfect for her. She says she isn't a saint, although to the people that she inspires and helps everyday, I'm sure they totally disagree and believe she is, in fact, a saint! Her blog posts are truly amazing reads. She is very honest and very real and very sincere! When I first started blogging back in January, K. Andrew was getting ready to move across the country so she hosted a Cricky Across the 50 Blog Hop. (Click the link to check out my submission). I found out about this blog hop and that's how I met K. Andrew. She was so sweet about letting me join the hop. I had no idea what I was doing but she was so helpful. Anyway, this blog post wasn't supposed to be about how much I love to know K. Andrew, but I needed to take a moment to spotlight her and just let her know that she's a huge reason I keep crafting and I keep blogging. I really do just love her to pieces! All that being said, she's having some amazing giveaways! This post in particular is about her giving away 6 different stamps from My Pink Stamper (who also just happens to be an enormous inspiration to me). Here are the details of this giveaway (taken directly from K's blog post). "Little Pick Me Up Treats for today. I want to give away SIX different My Pink Stamper stamp sets today! I'll pick 6 winners--all you have to do is leave me a comment and then GO share the word. Someone out there today needs to hear this message--help me share it today! Let's spread the word and love! Feel free to GRAB my blog candy pic above or blinkie and link at your blog/facebook if you so desire. Have a GREAT weekend my friends; see you back here this weekend for a blog hop, and more fun stuff!" You all need to go follow her wonderful greatness and check out the many other things she has going on over there including the release of her new stamp sets. You can find out about those by clicking this THIS LINK HERE. Well, I hope you all have a fantastic day! Remember to share the love. I'm going to take my 7-year-old daughter into my craft room and cook up something crafty! I've totally been inspired. I will be back on later with our creations and bring you some pictures of what we created. 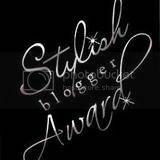 Thanks again to all my bloggie friends for your inspiration and creativity! Good evening, everyone! I hope you all had a fabulous Monday. I had a pretty decent day! This project is being submitted in the Simply Sunday Challenge over at Getting Cricky with K. Andrew. This is my first attempt at trying to make a tri-fold card and I must say, I'm pretty darn happy with how it turned out!! My father and I have never really had a great relationship but lately, in the past year or so, I've truly started noticing some changes in him. He seems to be a little more grown up. He seems to care a little more about his life and someone other than himself. This is such a huge deal for me because he was just never one of those fathers that was "there" for his children. So, I decided to make this card for him for Father's Day. The theme for the Sunday Challenge was "Retro" and it could be interpreted any way we wanted so I went with these colors. I took my cardstock and scored it 4 times width-wise at 2, 4, 8 and 10 inches apart. Then I turned the cardstock so it was vertical and at 2-1/2 inches, I cut from one score line to the other one. I did this on both sides. I folded the paper on the score lines and and then for the center one, I folded it in opposite directions. I cut my different papers to length and put them on wherever I wanted on the card. I hope you enjoyed this as much as I did. I will be sending out the card to my dad in the next week! Hi everyone!! I'm currently looking for sponsors willing to donate an item for some upcoming craft challenges I'm putting together. If you are interested, please feel free to email me. Thanks for your interests. I appreciate it! New Spiritual Blog Is Up! 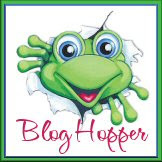 Hippity Hoppity Easter is on its Way Blog Hop! Scrappin In The Woods With A Bug! So many new projects and my birthday! Scrapbook Steals Mid Week Mojo Daisy #4! It was a colorful weekend! Bit by the Cricut bug! Oh Boy! Birthdays all around! Hubby is Away Giveaway WINNER!!! "KICH N BLEUS NEW GRAD COLLECTION"
Crafty Creations by Sandy S.
Copyright Krystal's Kreativity 2011. Powered by Blogger.